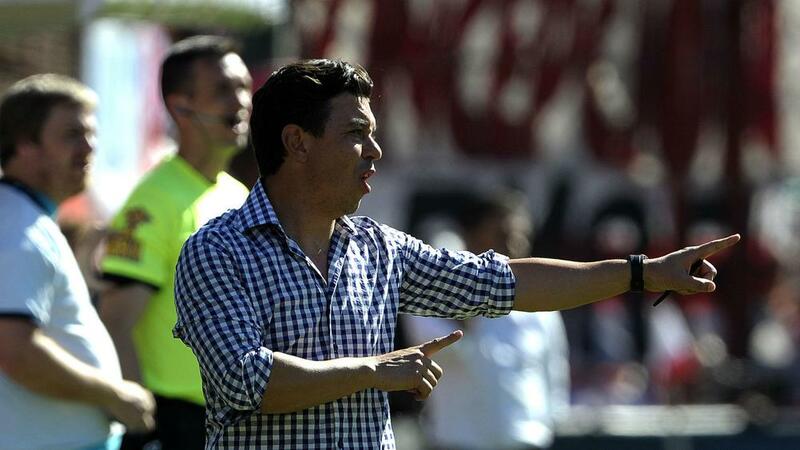 Marcelo Gallardo has confirmed he will remain as River Plate head coach for another year after considering his future with the club. Gallardo become one of the most highly touted young coaches in global football after masterminding River's 2015 Copa Libertadores triumph and the former Monaco and Paris Saint-Germain playmaker has been linked with the likes of Atletico Madrid. Following last week's thrilling 4-3 Copa Argentina final triumph over Rosario Central, which secured a return to the Libertadores next year, the 40-year-old said he would mull over his options. And Gallardo, who enjoyed three stints with River during his playing days, told a news conference on Wednesday he would leave this lengthy association intact for the time being. "I'll stay another year," he said. "The heart dictates for me to continue here, that's what I want. "I could not say goodbye to this strong link I have with the fans, the organisation and management."